Original Art Nouveau 18k white gold engagement ring is set with a .40 carat Old Mine diamond. The diamond is graded as mounted to be G/H Color and VS Clarity. The ring also features hand piercing and engraving. 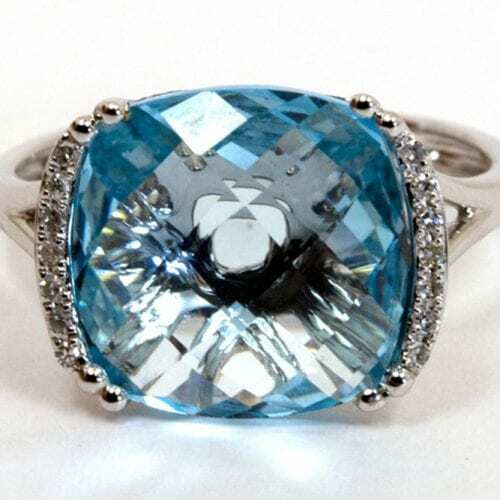 This is a one of a kind original ring and is subject to prior sale. 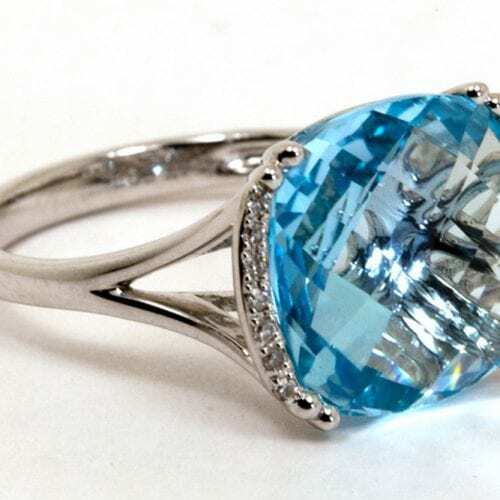 This ring is able to be sized upon request.